Vitamin D3 2000IU with K2 plus Calcium has been added successfully to your wishlist. Vitamin D plays an important role in bone health, immune support, and heart health while working with Vitamin K to support normal absorption of calcium and promote health arteries. Got weak bones? In the United States, one in two women and one in four men will suffer a bone fracture from osteoporosis over the age of 50. According to the National Osteoporosis Foundation, premenopausal women will need up to 4 cups of milk per day just to prevent and treat osteoporosis. Osteoporosis is a medical condition characterized by weak bones as measured by a bone density scan called dual energy X-ray absorptiometry (DEXA) scan. The lower the score, the higher the risk. If the score is slightly less than normal, you have osteopenia (weak bones). Lower scores indicate osteoporosis (weaker bones with the highest risk for fractures). Once bones break from a fall or trauma, they do not fuse back together. Fractures require surgery where screws are installed to keep the broken bones together. If left untreated, you will experience pain, inflammation, and immobility. Out of the three consequences, immobility is the worst outcome. Immobility can completely change your life. You may require assistance from caretakers, transfer to a nursing home, a walker or electric scooter, and a dramatic reduction in daily activities. Ask your physician about the DEXA scan. Understand your T-score. The T-score is generated by the DEXA scan. Eat more calcium-rich foods and take calcium supplements. Boost your vitamin D intake. Increase your vitamin K intake. Vitamin K is famous for its clotting ability but do you know that vitamin K also plays a role in bone building? Perform low-impact weight-bearing and muscle-strengthening exercises. Vitamin D regulates the amount of calcium and phosphorus in the body, partly by controlling their levels of absorption. It can be found in small amounts in a few foods, including fatty fish such as herring, mackerel, sardines and tuna. Most of Vitamin D is obtained through exposure to sunlight. Vitamin K plays a role in the body to modify certain proteins that ensure proper blood clotting and calcium utilization in the bones and cardiovascular system. Calcium is the most abundant mineral in the part of bones and teeth. The heart, nerves and blood clotting systems also need calcium to work. Suggested Use: Take 2 tablets daily, preferably with a meal. Warning: Always consult your health care provider before taking this or any other dietary supplement. 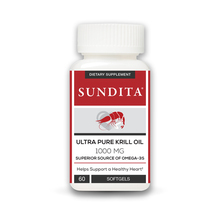 Antarctic Krill Oil 1000mg with Astaxanthin View Sale! Asta-X Plus Astaxanthin 6mg Chewable Tablet View Sale! Bilberry Lutein with Zeaxanthin View Sale!